Between the home runs and the swings and misses, here are the best and worst DP signings MLS clubs have made in the last 10 years. In the 10 years since David Beckham changed MLS by signing with the Los Angeles Galaxy–the anniversary of that monumental day was Wednesday–there have been over 100 Designated Players in the league–players deemed valuable enough for club owners to pay expanded salaries, with only some of it counting towards the team’s salary cap. Of those players, some have earned their way up to DP status after getting drafted out of college (like Clint Dempsey), signing with the league before DPs were a thing (like Landon Donovan) or signing at a lower salary and then getting a much-deserved raise (like Bradley Wright-Phillips). Still, most DPs signed with the league as one. And though the exact outlook on DPs has shifted as the rule has evolved in the last decade, the idea is basically the same: If you’re a DP, you better bring something of value on the field, and a bit of value off the field wouldn’t be half-bad, either. To celebrate 10 years of the Designated Player, we ranked the 10 best and worst signings who joined the league as DPs. The primary criteria for inclusion on the “best” list is good play on the field, but players who boosted their team in other, less-tangible ways will get a boost in the rankings. As for the “worst” list...well, there have been some pretty big swings and misses despite ambitious outlays of money. At one point it may have been easy to dismiss Higuain as nothing more than the brother of the much more famous Gonzalo. That time has long passed, with the playmaker establishing himself as one of MLS’s best over the course of five seasons (and counting) with Columbus. Higuain’s numbers may not scream out for attention, but 39 goals and 35 assists in 123 games is nothing to sniff at. Rather, Higuain’s importance is best seen over the course of a game, realizing all the small work he does off the ball to make Columbus one of the most consistently dangerous attacks in the league. He takes the league seriously, and the league certainly returns the favor. Before Robbie Keane and Sebastian Giovinco redefined the maximum expectation for a DP forward in MLS, there was Angel. The Colombian came to the New York Red Bulls after a successful career in England with Aston Villa, becoming one of the first players signed with the “Beckham Rule.” He instantly added quality to the Red Bulls, scoring 19 goals with five assists in 24 games during his first season, followed by double-digit goal totals in each of his next four seasons. That was enough to firmly establish him as his club’s all-time leading scorer, until Bradley Wright-Phillips took the honor this past season. If there’s a knock on Angel that prevents him from being listed among the best of the best, it’s his sharp decline after leaving New York. Angel scored just three goals in 22 games with the Galaxy after leaving, and he ended his MLS career with a forgettable stint at Chivas USA. Along with Higuain, these are the only two active players on this list, and they’re listed together here because of their combined impact on the league in an extremely short amount of time. Giovinco and Villa each arrived to clubs in adverse circumstances (Giovinco to a Toronto team trying desperately to reverse its awful on-field history, Villa to an NYCFC team that hadn’t even played a game yet). They each had impressive résumés at the highest point of European club soccer (Villa’s moreso than Giovinco’s, but still). There was ample reason to think that one or both of them would see MLS as too much of a step down to take seriously. That clearly hasn’t been the case. Giovinco and Villa have combined to win the last two league MVP awards, while scoring a total 80 goals with 43 assists in 124 combined games. They are the two most marketable foreign stars in the league, drawing eyeballs (and butts in stadium seats) wherever they go. And moreover, they have either completely transformed a club’s losing culture into a winning one (Giovinco) or helped build a winning culture from scratch (Villa). Their MLS careers have been short ones so far, but both players have been worth every penny spent to bring them here. Valeri may not have the name recognition of Beckham, Keane, or others on this list, but there’s no denying that he has been one of the league’s most exciting played since moving from Lanus to the Portland Timbers in 2013. 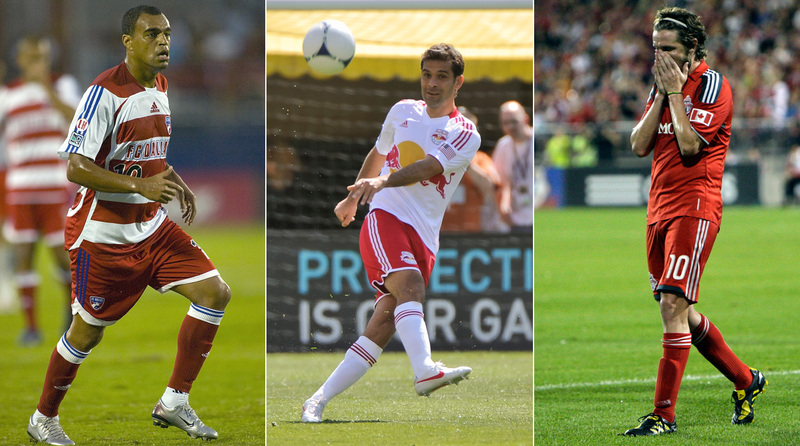 Valeri follows in a long line of gifted MLS playmakers, which includes names like Preki, Marco Etcheverry, and Javier Morales. The Argentine has scored 32 goals with 47 assists in 116 games with Portland, forming a dangerous attack with seemingly whoever the Timbers decide to play as striker, and he has an MLS Cup MVP trophy to his name as well. Moreover, Valeri has become something of an unofficial ambassador for the league. Put simply: he loves being here, and he loves being in Portland. In doing so, the bond between Valeri and Timbers fans is as strong as anybody on this list, and that’s something well worth paying for. Schelotto was Higuain’s predecessor in Columbus, similar in so many ways that it’s a little bit unnerving. Like his fellow Argentine, Schelotto did most of his good work in subtle ways, though he was capable of popping up at any time and delivering a killer assist. In 2008, Schelotto racked up 19 assists to go with seven goals as he led the Crew to an MLS Cup victory (after a playoffs in which he assisted on six goals over the course of four games) and himself to MLS MVP honors. Schelotto has since gone on to manage Argentine power Boca Juniors, which may make him the most prominent ex-MLS player currently managing a club. What else is there to say about Blanco? The Mexico forward was a player El Tri fans adored like few others, while also being the player U.S. national team fans loved to hate more than just about anyone else. As it turned out, his scrappy, unconventional game was a perfect fit for MLS when he signed in 2007, becoming the league’s second Designated Player. He was on the downside of his career then, and while he didn’t set the league on Fire (pun totally intended), he packed more than enough highlights into his tenure to justify his price. The Red Bulls, once a laughingstock of the league, are now perennially one of its strongest teams. Many people are to thank for this turnaround, but Henry is absolutely one of them. The French striker’s status as one of the best players of his generation was already confirmed when he joined the Red Bulls, so the gravitas he brought to that team could have been a burden. Instead, he used it as a tool to motivate his teammates, some of which seemed to raise their game with him around (Wright-Phillips, for example). Sure, there were some angry glares from Henry here and there when passes weren’t played correctly, or goals not finished off. But they seemed to come from a place of high expectations, rather than pity. That’s all to say nothing of his own quality play with the team. Henry scored at least 10 goals in all but his truncated first season with the team, including some that simply took your breath away. 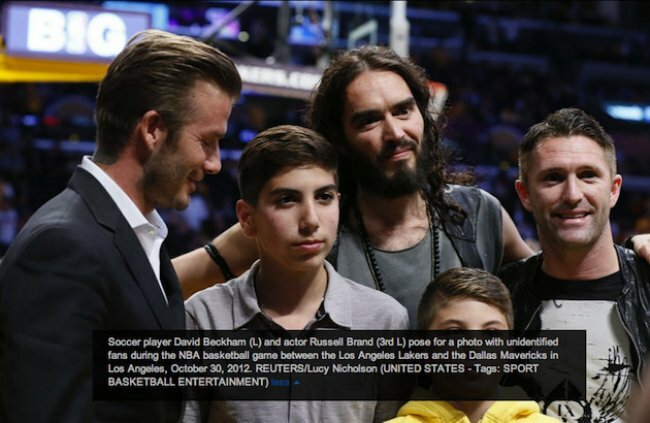 Keane may not have been even close to the commercial worth of Beckham (there's the famous photo of Keane, Beckham and Russell Brand at a Lakers game where he is identified as an "unidentified fan"), but his on-field impact on the league is such that he can fairly be considered as one of the league’s greatest signings of all time. Keane scored 83 goals over the course of his five seasons with the Galaxy, enough for 13th on the league’s all-time scoring charts (though Keane played at least 25 fewer games than anyone else in the top 25). He also added 45 assists. Unlike other signings that either never took the league seriously (or, like Beckham, took their time to acclimate), Keane was an immediate success, and his professionalism led the Galaxy to their most successful spell as a club: With Keane, the Galaxy won three MLS Cups and a Supporters’ Shield, and it wasn't until Keane arrived that the Donovan-Beckham-era Galaxy became champions. He was named in the league’s Best XI four times, and won MVP honors in 2014. When it was first created, the Designated Player status was known colloquially as the “Beckham rule.” That should tell you all you need to know about the importance of Beckham’s significance to MLS, even if nobody really calls DP’s “Beckham rule” signings anymore. The LA Galaxy changed their logo and jersey concept to coincide with his arrival and signed multiple lucrative sponsorships while becoming the league's marquee franchise on a global scale. But for as much as Beckham improved MLS’s commercial prospects, it’s tough to see his first years as anything other than a series of disappointments. Hampered by injuries, sub-par play, and a rift Donovan, Beckham didn’t exactly ingratiate himself to the Galaxy crowd after an extended loan to AC Milan in 2008, which was repeated in 2009. Reyna was well into the downside of his career when he joined the New York Red Bulls, so perhaps expectations should have been lower than they were. But on the other hand, how could they be, with his status as the greatest American player of his generation and a guaranteed salary of $1.2 million? Regardless, Reyna was a shadow of the player U.S. fans knew he could be in his time with the Red Bulls, thanks mostly to a litany of injuries he battled throughout his time in New Jersey. He retired after a season and a half. If there’s one position at which the U.S. can consistently produce quality players, it’s goalkeeper. There’s almost never a reason to spend DP-caliber money on one, because there are plentiful serviceable options available at much cheaper price tags. And yet the Red Bulls still decided to hand German goalkeeper Frank Rost a $550,000 contract for a third of a season of work. The former Hamburg ‘keeper played in 11 regular season games for the Bulls, allowing 14 goals over that span. He then promptly retired. When he joined the Chicago Fire in the summer of 2010, Castillo was a young, talented Mexican goalscorer desperate for regular playing time after struggling to break through at Ukrainian giant Shakhtar Donetsk. He was exactly the type of player MLS should have been targeting at that time, and the league paid like it knew that; Castillo earned $1.8 million in guaranteed compensation that season. However, his performance was a huge flop. Castillo was constantly injured and rarely got on the field when healthy. He made just eight appearances, registering no goals and no assists. A star at Argentine power River Plate and a member of two Argentina World Cup teams, one would have been hard-pressed to find anyone who thought the playmaker Gallardo was anything less than a good investment for D.C. United in 2008. However, his gargantuan $1.8 million salary–more than anyone in the league at the time not named Beckham or Blanco–proved to be a burden, as Gallardo struggled with injuries and didn’t make much of an impact at all on the field when he was healthy. He left D.C. United after just one season, having scored four goals with three assists. One of a long line of Toronto FC forward signings meant to serve as savior, Gilberto may be the most disappointing one of them all. The promising Brazilian was bought from Internacional for a $3 million fee, and was handed a contract worth $1.2 million in guaranteed compensation. Teaming up with fellow DPs Michael Bradley and Jermain Defoe, Gilberto was in an ideal position to make an impact. Instead he scored seven goals over 28 games and was loaned to Vasco Da Gama thanks to the arrival of Giovinco and Jozy Altidore. Chicago picked him up, but after a promising start, his career fizzled there too. De Guzman arrived in Toronto as the league’s first Canadian DP near the end of the 2009 season, and his presence was supposedly meant to solidify Toronto in the middle of the park. Instead, injuries and general bad play meant that De Guzman had next to no positive impact on the field for what was, at the time, consistently one of the league’s worst teams. By the time 2012 came around, De Guzman and his $2 million-per-year contract were traded to FC Dallas for forward Andrew Wiedeman, who had played only eight games with no goals to his name. Mista arrived in Toronto on the recommendation of De Guzman, his former teammate at La Liga side Deportivo La Coruna. His tenure worked out about as well as De Guzman's. Mista scored only one goal—in the CONCACAF Champions League—and retired at the end of a mere half-season with the Reds. For his efforts, Mista earned a cool $1 million. It’s rare even today that an MLS club gets a chance to sign a World Cup winner who was once the most expensive player in the world. It was even less so back in 2007, when the 30-year-old Denilson followed Beckham into the league with a contract that paid nearly $900,000 in guaranteed compensation. What did Dallas get for that money? Eight games over the latter part of a single season, with just one goal scored–from a penalty kick. His ineffectiveness was so rampant that several FC Dallas players admitted that the team had to adjust its style of play to make up for his shortcomings: namely, not working off the ball, not being fit and refusing to pass to teammates. Before getting into the case of M’Bolhi, consider the state of the Philadelphia Union when he signed in July of 2014. The Union had two solid goalkeepers on their roster–Zac MacMath (a starter for the previous two seasons and still just 22 years old) and Andre Blake (the top overall pick in that year’s draft, which the Union traded up to acquire and widely considered to be the most MLS-ready goalkeeping prospect in a while). Unless they planned to change the rules of the game to allow two netminders, the Union did not need a goalkeeper. They especially didn’t need one that would take up an international roster spot–they already had that with Blake, a Jamaican. So, naturally, they signed M’Bolhi, the Algerian ‘keeper famous for letting in one of the most significant goals in U.S. Soccer history. And not only did they hand him a DP contract, they also paid a $400,000 transfer fee. That all reflects far worse on Union management than M’Bolhi himself, but the Algerian certainly didn’t help matters with his play. He was solid but not outstanding in the few games he was able to play in 2014, then began 2015 disastrously, allowing 10 goals in five starts. The last of those starts, in which he allowed two stoppage-time goals to Sporting Kansas City, was the last straw. Coach Jim Curtin didn’t just bench M’Bolhi–he removed him from the squad entirely. He moved on to Turkish club Antalyaspor later that year. Much like Blanco, Marquez is a figure beloved by Mexican fans and despised by the majority of U.S. supporters. 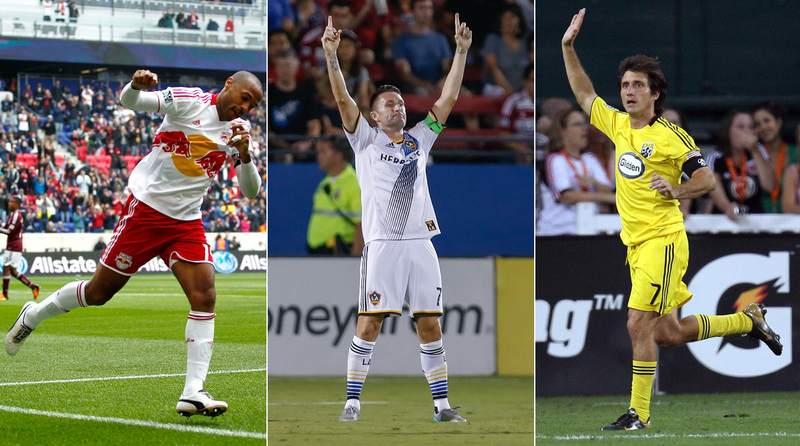 The difference in their MLS careers, though, could not be more stark. While Blanco became beloved by his club’s fans, Marquez did an astonishing variety of things to have the completely opposite effect. For starters, he played in only 36 of a possible 73 games during his two and a half years in MLS, thanks mostly to injuries, bad form and disciplinary absences. Speaking of discipline, he ended two straight seasons, including his final one, with red cards in playoff elimination games. He broke Shea Salinas's collarbone. He called out his teammates for being “not on his level.” At times, Red Bulls supporters openly booed Marquez at every opportunity. And he was paid $4.6 million per season to do all of this. For all of this, Marquez isn’t just an easy choice for worst DP signing of all time–he’s also a strong candidate for worst signing of any type in the league’s history.